zCover's iSA design focuses on intuitive usability while offering protection in its fullest form. zCover has always focused on the merging of function and style, but this time the iSA not only provides full access to all of the iPod's functions, but also has a few enhanced functions of its own. 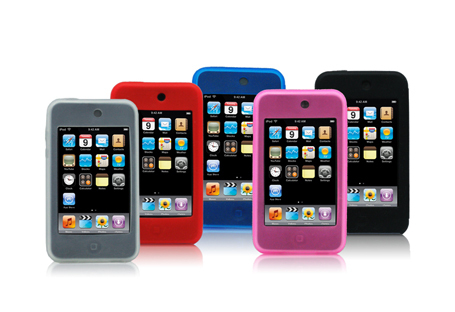 Specifically moulded and uniquely designed for all the functions of the iPod nano and Touch, zCover iSA will first be released in five zCover ice series colors: blue, pink, grey, ice clear & black. 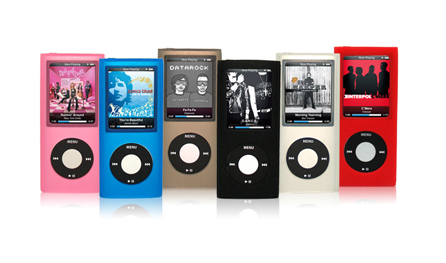 zCover's iSA for new iPod nano 4G is available in two functional combination packages. Offering you full protection for your new Nano 4G, and the function of mobility with our innovative 360 degree rotating belt clip, this system is the perfect "All-you-need-for-iPhone" combo for any new iPod owner. This package offers maximum mobility for the active iPod owner. You get the iSA cover protection, the 360 degree rotating Belt Clip, and the perfect-fit rotary armband, perfect for outdoor enthusiasts hiking and biking through the woods, or the fitness fanatic jogging through the streets. zCover's ISA touch2 for new Touch 2G is available in two functional combination packages. Offering you full protection for your new Touch 2G, and the function of mobility with our innovative 360 degree rotating belt clip, this system is the perfect "All-you-need-for-iPhone" combo for any Touch owner. zCover is a pioneer and trend-setter in the fashionable silicone products market. zCover® iSAglove armband set is the winner of Macworld Awards 2008 Best iPhone Accessory. zCoverÂ® iSA silicone cases and accessories have been nominated as Best iPod Accessory by Macworld Awards in 2006 and 2007. zCover products are available at Apple retail stores, Best Buy Canada, J&R and other electronic stores. ZCover is presently seeking partnerships with resellers to distribute zCover products worldwide.